George Beck, BSEE ’43, is a retired executive vice president and general manager of the aerospace division of Westinghouse in Baltimore. A World War II veteran, Beck was a commissioned officer and radar specialist who used his engineering knowledge and skills in both the military and civilian life. Carl F. Lorenzo, BSME ’58, is a Distinguished Research Associate at NASA’s John H. Glenn Research Center. His book with co-author Tom T. Hartley, The Fractional Trigonometry with Application to Fractional Differential Equations and Science, was published in December. Brian Thompson, BBA ’69 and JD ’75, wrote an autobiography, If I Settle on the Far Side of the Sea, that includes remembrances of his 17 years of evening classes at CSU – 12 years as an undergraduate and five years in law. The Westlake resident is a self-employed attorney, certified public accountant and lay minister. Zoltan Acs, BA ’72, visited CSU for a series of lectures and presentations to faculty, students and the public. An internationally recognized economist, Dr. Acs is a professor of management at the London School of Economics and a professor at George Mason University. Terrence J. Kenneally, BA ’73, is the president of Holy Name High School in Parma Heights, as well as the president of Terrence J. Kenneally & Associates law firm in Rocky River. The Grafton, Ohio resident was named one of the top lawyers in America by Irish Legal 100. Richard J. Wisniewski, BBA ’73, retired as senior vice president and chief financial officer of Mount Nittany Health in State College, PA. He is involved with the local chamber of commerce, serves as a board member of a free clinic, a nursing home and a medical malpractice insurance company, and provides health care consulting services to hospitals and physician practices. Lawrence King, BSME ’74, was appointed to the National Inventors Hall of Fame Expert Review Committee. He is an engineer and vice president of DEBLAR & Associates consulting practice and lives in Austell, GA.
Jane Kronheim, BA ’74, is president of Voices of Xperience in Harrisville, NH. The company preserves audio memories by transferring records and cassettes to digital format, recording books and interviewing elders in the community. Robert C. Rosenfeld, JD ’74, is chief legal officer, director of planned giving and a board of trustees member of the Emily Jerry Foundation for Medication Safety in Chagrin Falls. Richard Iafelice, BSCE ’78 and MSCE ’82, is vice president/consulting engineer at CT Consultants, Inc. in Mentor. The Concord Township resident is a member of the Lakeland Foundation board of directors, former president of the American Council of Engineering Ohio board of directors, and was Mentor of the Year for the ACE program. Gary Sorace, BEd ’78 and MEd ’93, was inducted into the National Wrestling Hall of Fame, Ohio Chapter. The former Viking wrestler is also a member of CSU’s Athletics Hall of Fame. He is retired from the Twinsburg schools, where he taught for 33 years, coached wrestling and served as athletic director. Robert M. Heard Sr., BA ’79, is vice chair of the Cleveland Metropolitan School board. He has been a board member since 2004 and served as chair from 2007-09. He also is a trustee of the Ohio School Boards Association and the Northeast Region of the Ohio School Boards Association. Daria Roebuck, BBA ’80, was named a Distinguished Alumna of her high school, Saint Joseph Academy. Roebuck, a 2015 recipient of CSU’s Distinguished Alumni Award, is an Executive-in-Residence at CSU and a member of the CSU Foundation Board of Directors. She is the retired vice president of human resources at ERICO International Corporation. Farshad (Sam) Afsarifard, BBA ’83, is the owner of Fresca Garden, Sorrento Catering and Cello Concepts in California. Linda Masek, MA ’83, published her ninth and 10th books, The Mysterious Cattery and Under the Cat’s Paw. The author lives in Northfield. Dean Rooney, JD ’83, was named to the 2017 edition of Best Lawyers for litigation – trusts and estates. He also was named an Ohio Super Lawyer in business litigation. He is an attorney with Kadish, Hinkel & Weibel. Betsy Bergen Shaughnessy, MBA ’87, was elected president of the Lakewood School Board. This is her fifth term as president over the past 20 years. She is employed by St. John Medical Center. Diego School of Business. She is the former vice president of logistics and network planning for Domino’s Pizza. Michael J. Kubit, BSEE ’91, joined Penn State University as vice president for information technology and chief information officer. Most recently he was deputy chief information officer for information technology services at Case Western Reserve University. Nick Stavrou, BEd ‘91, is the head coach of the Fort Worth Vaqueros soccer team. He formerly was a Dallas Sidekicks soccer player and coach. Lou Tisler, BBA ’92 and MBA ’94, joined the National Community Reinvestment Coalition in Washington, D.C. as director of the Housing Counseling Network. He was the long-time executive director of Neighborhood Housing Services of Greater Cleveland. Tisler was selected for inclusion in CSU’s first group of Fascinating Alumni. Chris McVetta, BA ‘94, is an alumnus of The Second City creative writing program and the owner of Pop Culture Planet, a consulting firm that focuses on using lessons from the entertainment industry to bring fresh ideas and unconventional concepts to traditional business entities. For the last four years, he has been invited to present at the Ray Browne Conference on Popular Culture at Bowling Green State University. John M. Coyne III, MBA ’94 and JD ’95, was named to lead the real estate practice of the Roetzel law firm. Henry W. Young, Jr., BA ’94 and MA ’00, successfully defended his dissertation, “Perceived Lack of Teacher Empathy and Remedial Classroom Conflicts,” for the Doctor of Philosophy degree in Conflict Analysis and Resolution at Nova Southeastern University in Fort Lauderdale. Dr. Young is an associate professor at Cuyahoga Community College. Prior to joining Tri-C in 2005, he spent 25 years as a chemical dependency counselor working with adolescents and their families. He lives in Cleveland. David Gilbert, MBA ’95, received the Civic Leader Award from the Cleveland Jewish News. Gilbert is the president and CEO of both Destination Cleveland and the Greater Cleveland Sports Commission. Last summer he chaired Cleveland’s Host Committee for the Republican National Convention. Denise Baba, MEd ’98, was elected president of the Ohio School Board Association. She is an 11-year member of the Streetsboro City Schools board and executive director of Leadership Portage County. Erica Muhleman, MA ’98, was promoted to executive vice president of business development for the parent company of the NFL’s Buffalo Bills and the NHL’s Buffalo Sabres. Paul Weisinger, BBA ’98, was named to two boards — Cleveland Arts Prize, which honors artists for their original works, and Havana Daydreamers, which raises funds for medical research for men’s health concerns. He is a partner with Walthall CPAs. Matt Zone, BA ’00, was elected to a one-year term as president of the National League of Cities. He has been a member of Cleveland City Council since 2001. Amy Tankersley, BA ’01, was hired by North American Title Insurance Co., a national title insurance underwriter, as manager of research and education, where she is responsible for creating the company’s newsletters, webinars and other marketing materials. Michael Warnick, BMus ’01 and MMus ’03, participated in the inauguration of President Donald Trump as a member of The President’s Own United States Marine Band. The band provided music for the Inauguration swearing-in ceremony at the U.S. Capitol, led the second division of the parade down Pennsylvania Avenue, and performed at the Salute to the Armed Forces Inaugural ball. Established by act of Congress in 1798, the Marine Band is the oldest U.S. military band and the oldest professional musical organization in the United States. Trumpeter/cornetist Gunnery Sergeant Warnick joined The President’s Own in 2005. He was named one of CSU’s Most Fascinating Alumni in 2014. David A. Head, JD ’02, was named an Ohio Rising Star. He is a shareholder with Weltman, Weinberg & Reis Co., LPA. Leon Mason, BA ’02, moved to Denver to take on a new position as executive director of the Denver City Council. He formerly was the director of building, housing and planning for the city of Lorain. Erica Deutsch, BA ’03, joined the Akron office of Braun & Steidl Architects as business development and marketing manager. Michael Roblin, BSME ’05, is employed at General Motors’ Milford Proving Grounds facility in Michigan. He has worked on several hybrid and electric vehicles and most recently has been the battery performance engineer for the Chevrolet Bolt electric vehicle. He also works on self-driving electric vehicles. Christina Barrow Washington, MS ’05, is the founder and executive director of Young Scholars, a company that provides enrichment and career readiness programs and services. She has worked as an engineer, physicist and educator and recently wrote a children’s book, Ms. Pearl Makes a Discovery, to encourage curiosity and interest in science. David S. Brown, JD ’07, was named an Ohio Rising Star. He is a shareholder with Weltman, Weinberg & Reis Co., LPA. Wook S. Kim, MSEE ’07, joined McDonald Hopkins LLC as a patent agent in the Intellectual Property department. Jamie Umerley Kolligian, JD ’07, was elected a shareholder of Kastner Westman & Wilkins, LLC, a boutique labor and employment law firm in Akron. She lives in Copley. Patrick Tatham, BA ’07, is an assistant coach with the Maine Red Claws. Last year he was named Ontario Universities Athletics Coach of the Year as interim head men’s basketball coach of the Ryerson University Rams, leading the Toronto team to its first championship. Drew Anderson, BBA ’09, was named to Forbes Magazine’s 30 Under 30 List. He is the co-founder and president of Cleveland Kraut, a gourmet sauerkraut maker. Anderson mentors students in CSU’s Monte Ahuja College of Business. Amy Hochadel, MA ’09, is employed by Future Cities Catapult in London, England, where she creates systems and processes to assist cities in planning for and meeting 21st century challenges. Her most recent project has been working with the government of India to develop a National Innovation Hub for India’s 100 Smart Cities. Dr. Hochadel is the author of Local Leadership in a Global Era. Brenda Butler, BA ’10, was promoted to Deputy Director of Advanced Training for the Ohio Peace Officer Training Academy. Her 20-year career in law enforcement includes five years as a Special Agent for the Ohio Attorney General. Vera Goldman, MAcc ’10, was promoted to accounting and human resources manager at Remelt Sources Inc. She lives in Willoughby. Diana Starks, MA ’10, is assistant vice president for diversity and inclusion at the Federal Reserve Bank of Cleveland. James Sulecki, BA ’10, is the author of The Cleveland Rams: The NFL Champs Who Left Too Soon. Daniel Hinkel, JD ’11, was named an Ohio Rising Star by Super Lawyers. He is an attorney with Kadish, Hinkel & Weibel whose practice areas include real estate, real estate taxation, business law and commercial litigation. Caitlin Johnson, MPA ’11, is director of communications at Policy Matters Ohio. Bryce Sylvester, MUPDD ’11, was named director of planning and development for the city of Lakewood. Formerly the senior planner, he has been with city for six years. Josh Williams, BA ’11, signed a pro soccer contract with the Columbus Crew. James Estremera, MBA ’13, is the co-owner of Trunk, a men’s boutique in Gordon Square. He also is the director of the Hispanic Business Center and a board member of Cleveland Public Theatre and the Young Latino Network. Alyssa Feiste, BS ’13, spent summer 2016 in Mongolia as a graduate student participant in Miami University’s Earth Expeditions global field course. An animal keeper at Arizona-Sonora Desert Museum, she lives in Sahuarita, AZ. Steve Litt, MUPDD ’14, was inducted into the Press Club of Cleveland’s Hall of Fame. He has been a Plain Dealer reporter for 35 years and covers art and architecture. James Guirguis, BS ’15, was appointed by Gov. John Kasich to a two-year term on the Northeast Ohio Medical University board of trustees. He is a second-year medical student at the school. Susan Kornatowski, BBA ’15, was named to a three-year term on the Law Alumni Association board for Case Western Reserve University School of Law. She resides in North Royalton and is employed by Walthall CPAs. Sydney Victor, JD ’15, and Richard Volante, JD ’15, joined Cleveland law firm Buckley King as leaders of a new practice in sports, entertainment and media law. Robert St. Leger, BBA ’50 and JD ’58, in January 2017 • John McClurg, BS ’51, in October 2016 • Herbert Scibbe, BA ’52, in April 2016 • Daniel Donovan, JD ’53, in October 2016 • Charles Voracek, BS ’54, in March 2017 • Donald Stenzel, BS ’56, in July 2016 • Robert Bathen, BA ’57, in May 2016 • John Guerra, JD ’57, in September 2016 • Phillip Meng, BS ’60, in June 2016 • Walter Filipow, BA ’61, in September 2016 • Leo Collins, JD ’62, in February 2017 • James Essick, BA ’62, in January 2017 • Jean Merritt, BEd ’65, in February 2016 • John Sponseller, JD ’65, in September 2016 • James Svarovsky, BS ’67, in January 2017 • Steven Erlsten, JD ’68, in October 2016 • Albert Flores, BA ’69, in January 2017 • John Pilch, JD ’70, in May 2016 • Francis Rutkowski, JD ’70, in August 2016 • Rhoda Robuck, BA ’71, in March 2016 • Robert Steely, JD ’71, in January 2017 • William Bazemore, BBA ’73, in November 2016 • Maxim Mehling, BS ’73, in June 2016 • Virginia Polewka, BBA ’73, in May 2016 • Raymond Pianka, BA ’73 and JD ’77, in January 2017 • David King, JD ’74, in November 2016 • James Vance, BS ’74, in September 2016 • Jerald Chlipala, JD ’75, in March 2016 • Meyer Hoffer, BS ’75, in April 2016 • Michael Shepard, BBA ’77, in February 2017 • Alberta Martoglio, MEd ’79, in November 2016 • David Donald, MA ’80, in December 2016 • Sally Schoen Bergman, BA ’81, in June 2016 • Mattie Roberts, MEd ’81, in November 2016 • Stephen Adams, MBA ’82, in November 2016 • William Currie, JD ’83, in October 2016 • Evelyn Oswick, MA ’83, in October 2016 • Eileen Leventhal, BS ’84, in December 2016 • Theresa Tien-yu Cheng, MEd ’88, in September 2016 • Robin Ann Barlak, BEd ’89 and MEd ’93, in March 2017 • Bruce Darling, MBA ’90 and MAcc ’94, in February 2017 • Alexandra Mendoza, BBA ’91, in March 2016 • Heath Mohrman, BA ’92, in September 2016 • Andrew Shubic, BBA ’92, in November 2016 • Kathleen Gunn Guscott, MEd ’94, in September 2016 • Russell Hagan, BS ’94, in October 2016 • Andrea Lawson, BA ’94, in November 2016 • Susan DiNardo, BA ’01, in November 2016 • Timothy Werner, MCIS ’04, in March 2017. Elizabeth Lewis in December 2015. The associate professor emerita of social work joined CSU in 1974 and retired in 1991. Nancy Cribbs in October 2016. The University’s senior legal counsel retired in 2004, following a 30-year career with CSU. Brian Brandt in November 2016. He worked for CSU from 1964 to 2011 as a storekeeper in the receiving department. Paul J. Everson in November 2016. Mr. Everson was a staunch supporter of real estate education at CSU through the Paul J. Everson Scholarship Fund, the Paul J. Everson Endowed Distinguished Professorship and the Paul J. Everson Center for the Study of Real Estate Brokerage/Agency and Markets. He was awarded an honorary Doctor of Business Administration degree from CSU in 2008. Donna Burns Phillips in November 2016. The associate professor emerita of English joined CSU in 1988 and retired in 2004. 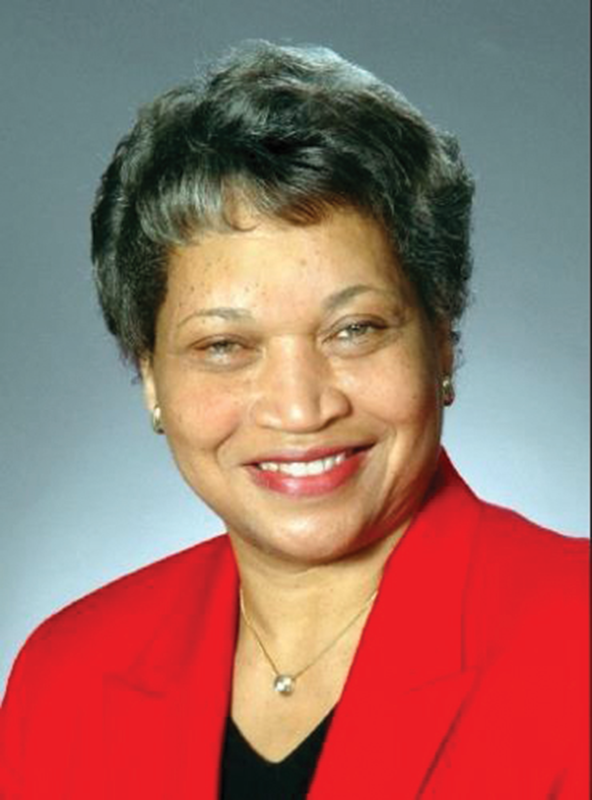 She served two terms as president of the Faculty Senate. Richard H. Black in December 2016. The associate professor emeritus of mathematics retired in 1991, following a 23-year career with CSU. Jean Stollar in December 2016. The assistant director of purchasing/accounts payable retired in 2016, following a 20-year career with CSU. David Santoro in January 2017. The professor emeritus of education retired in 2000, following a 30-year career with CSU, then continued to teach for two more years. Dr. Santoro founded CSU’s Counseling, Administration, Supervision and Adult Learning (CASAL) program. He established the David Lawrence Santoro Memorial Scholarship in honor of his son. Wanda Pinkney in March 2017. She was a custodial worker at CSU since 1994. David Wilder in March 2017. An adjunct lecturer in the Department of Art since 2005, he also taught at Cuyahoga Community College and John Carroll University. 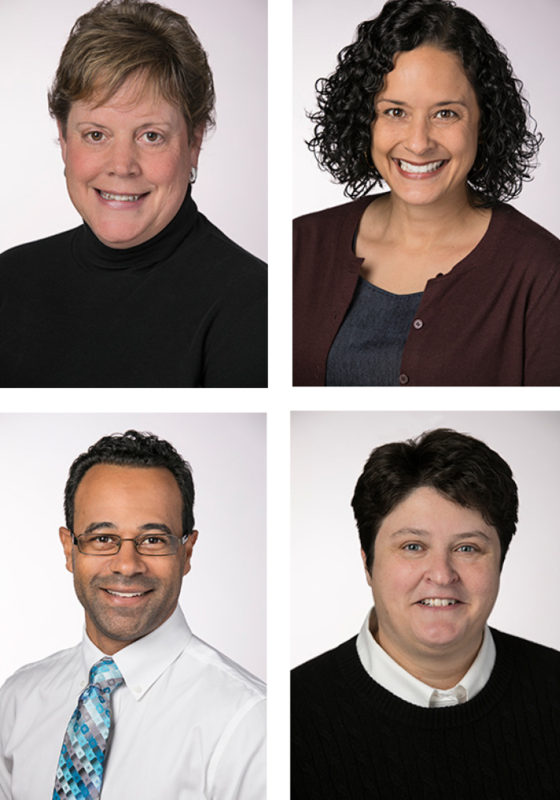 Four alums were among 10 winners of the inaugural Excellence in Teaching Award presented by the Cleveland Metropolitan School District, the George Gund Foundation, the Cleveland Foundation and the Cleveland Teachers Union. The award recognizes creativity, innovation and instructional expertise in the classroom. Congratulations to: Bonnie Whitmer, BEd ’83, Robinson G. Jones School, kindergarten special education; Dora Bechtel, BEd ’01 and MEd ’03, Campus International School, second and third grade; Spencer Small, BEd ’03, John Marshall School of Information Technology, 10th grade computer science; and Stephanie Chiariello, MEd ’11, John Marshall School of Civic and Business Leadership, 10th grade social studies. Three alums who work for Tucker Ellis LLP were named Ohio Super Lawyers for 2017. 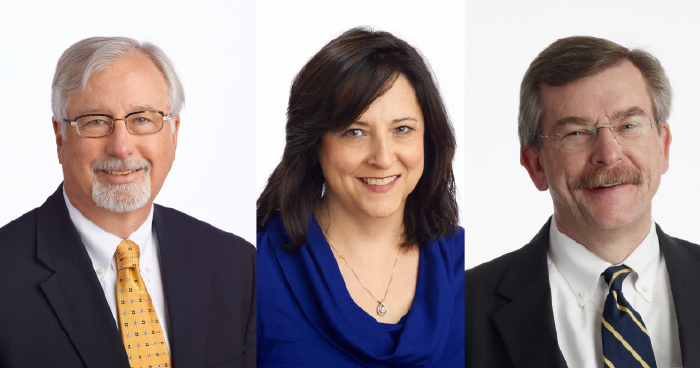 Congratulations to: Glenn Morrical, MBA ’82; Ann Caresani, BBA ’88, MBA ’93 and JD ’94; and Harry Cornett, BA ’09. Mell Csicsila, BMus ’93 and MMus ’97, and Andrew Pongracz, MMus ’94, perform as percussionist duo Anime. 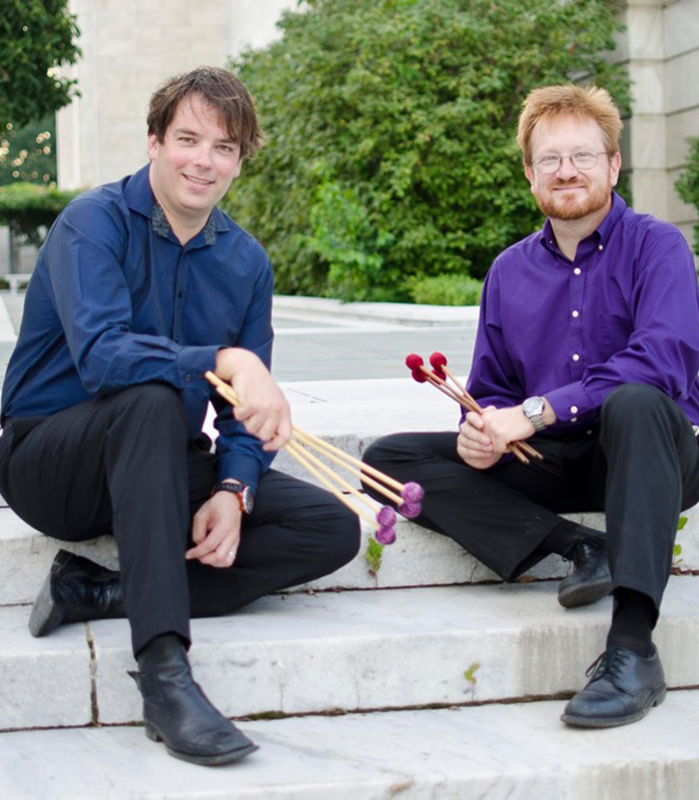 The two, who met as students, perform a repertoire that ranges from contemporary music to classical masters. Six alums received the Crain’s Cleveland Business Forty Under 40 Award recognizing professional success and civic contributions. Congratulations to: Nancy Berardinelli-Krantz, JD ’02, senior legal counsel, Goodyear Tire & Rubber Co.; Sarah Flannery, JD ’02, partner, Thompson Hine LLP; Allison M. McMeechan, JD ’04, co-chair, elder and special needs planning group, Reminger Co. LPA; Renjun Bao, MSIE ’06 and DrEng ’09, CEO, Cnjobs Technology; John Litten, MPA ’11, executive director, Society of St. Vincent de Paul; and Valissa Turner Howard, MA ’12, deputy inspector general, Cuyahoga County. Charleyse Pratt in March 2017. Dr. Pratt was the assistant vice president for inclusion and multicultural engagement at CSU. She also was the founding director of the Sullivan-Deckard Scholars Opportunity Program. The Pratt Center in Rhodes Tower was named in her honor just three weeks before her passing.